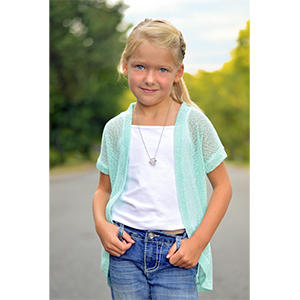 The Ace Cardigan is a super trendy and stylish cardigan sized for girls xxs-xxl. The drop sleeves and the slouchy back look great paired with leggings or shorts. 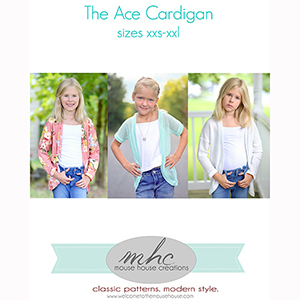 The Ace Cardigan has 3 sleeve options, which makes it a great transitional piece. Use stable knits for a more structured cardigan or a sweater knit for a more slouchy cardigan. Either way, this pattern will be a staple in your PDF collection. 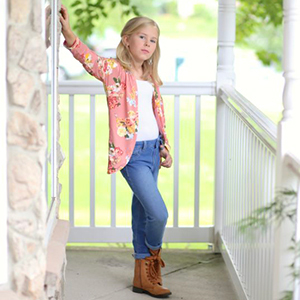 This pattern is available in sizes girls xxs to xxl. 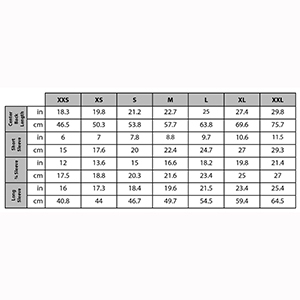 Suggested fabrics are cotton lycra, hacci sweater, cotton jersey, brushed poly spandex, or french terry.